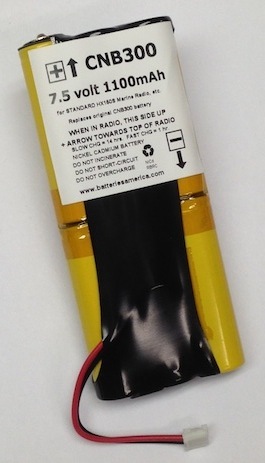 CNB300 : 7.2 volt 1100mAh rechargeable NiCd battery for Standard-Horizon HX150S marine radio. These battery packs are manufactured by US right here in the USA. They can be re-charged with the stock charging system.